The look and feel of solid stone, with comparable strength, but without the excessive weight. Each shelf is hand crafted from custom made molds designed to emulate the elegant variations, colors, and imperfections admired in natural stone. What is this material? This product is made from Caststone. 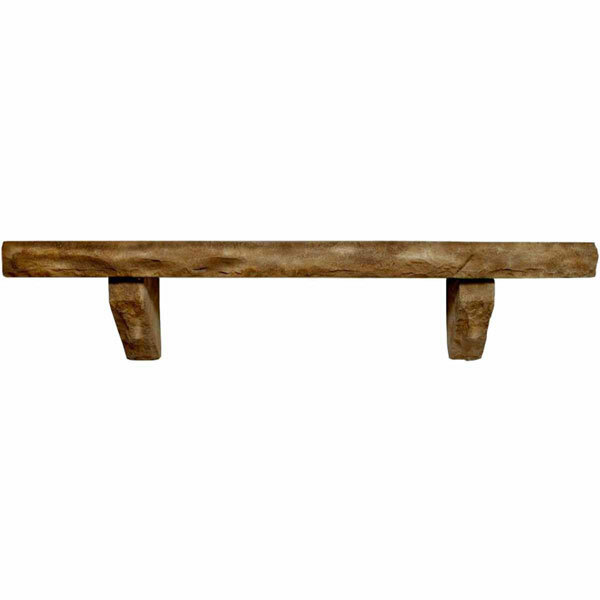 Beautiful cast stone mantel shelf. Made in the USA. Cast stone is a combination of all natural ingredients (aggregate, cement and iron oxides) resulting in the look and feel of solid stone, with comparable strength, but without the excessive weight. Each shelf is hand crafted from custom made molds designed to emulate the elegant variations, colors, and imperfections admired in natural stone. For use indoors or outdoors.